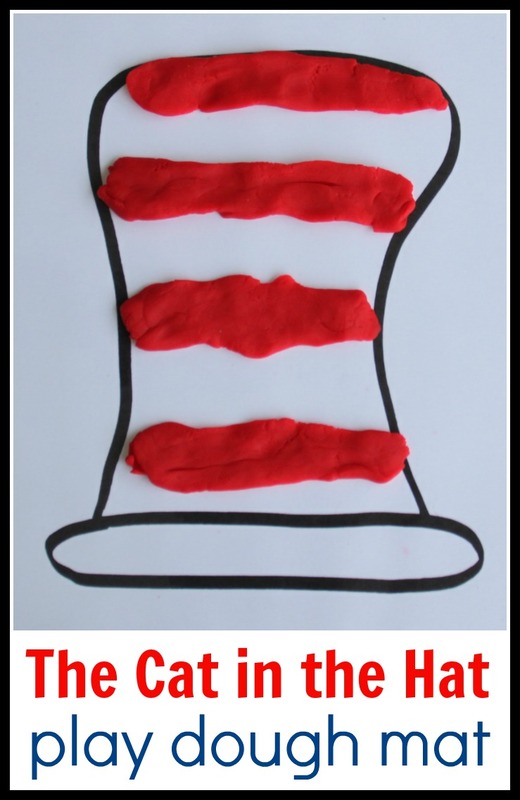 The Cat in the Hat’s hat has to be one of the most recognizable examples of an ABAB pattern ever. Capitalize on this with some play dough pattern practice. It’s such an easy way to get kids excited about making math patterns and simple to prep with this free printable play dough mat! This may be one of the easiest busy bags ever to put together! All you need to do is print and laminate the play dough mat and get out some play dough. You can use your favorite homemade play dough recipe or buy some at the store. Once your play dough mat is ready then it’s time to play! We used the mat to practice math patterns on the Cat in the Hat’s hat. 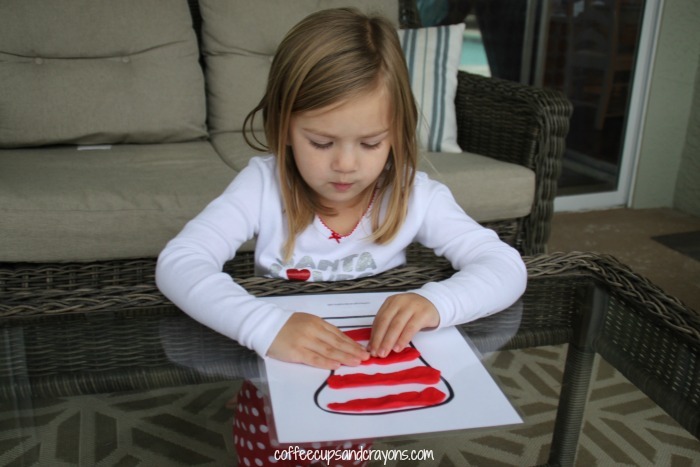 The red and white stripes of the hat are a perfect ABAB pattern to start with. You can then work up to AABB or ABC patterns using different colored play dough. The kids can also just use their imaginations to create new designs on the hat too! Adorable! We need to have a Cat in the Hat homeschool day at my house. That would be so much fun Crystal & Co.!!! I will use this on Read Across America Day. Something new for the day. First an second graders will love it! Yay!!! So glad you can use it!